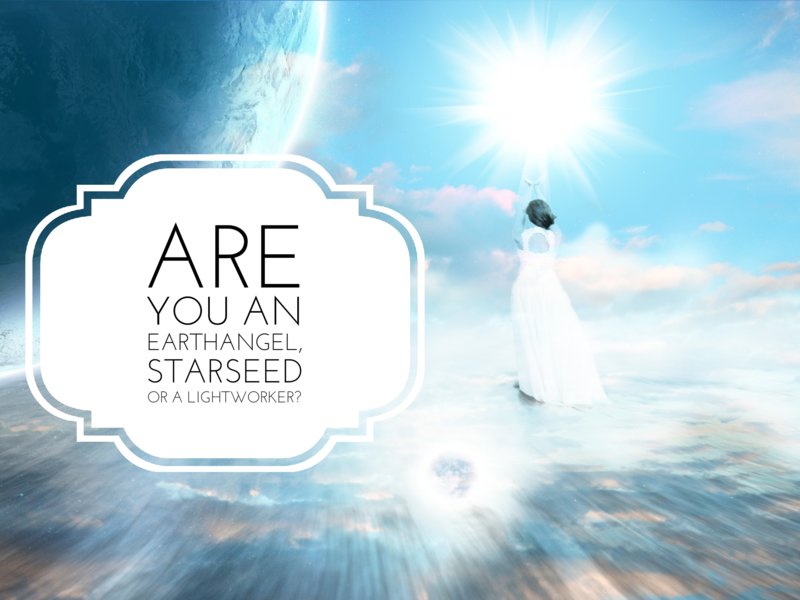 Are you an Earthangel, a Starseed or a Lightworker? Am I an Earth Angel, a Starseed or a Lightworker? You may have heard or come across these description or terms in the spiritual community. For a lot of people these concepts can be hard to grasp but they are terms used to describe what your spiritual purpose is here on this Earth and also where your soul has originated from. I didn’t fully understand the meaning behind these terms until I started exploring these topics during Akashic Record Readings. A common question asked by most people during readings is what is my life’s purpose? Delving into people’s records has been fascinating! For some people their current focus maybe on learning lessons, understanding family dynamics and dealing with relationships. Working though these lessons and experiences for everyone takes a lot of understanding and patience. But then there are other some who have a noticeably different path, in addition to learning and experiencing all the lessons life has to offer, they have a clear purpose for being here! There is a strong message from the records that they are here to help others spiritually through raising the vibration of this planet, helping others on their spiritual journey or being of spiritual service to others. Here is my understanding from what I have read and learned from the Akashic Records for each of these terms. An Earth Angel is a highly evolved spiritual being whose soul is from the Angelic realm or another high vibrational realm. They have agreed prior to birth to be incarnated into an earthly body to help raise the vibration of the planet and to spread light through love, compassion and help. They may have incarnated on Earth for a number of lifetimes or this may be their first time here. Earth Angels have a strong need to help others and are unyielding in their quest to find solutions to others problems. They have the unconscious capacity for lifting the positive energy in the room and in others. They tend to be unable to witness or tolerate violence on any level, they are deeply protective and compassionate of their loved ones, nature, animals and children. Their main purpose may be just to help others and exude a positive vibration and they may or may not have an overarching goal beyond that. Not all people who exude positive energy are Earth Angels though, the difference is in where their soul came from. Earth Angels have a hard time not offering help sometimes at the expense of their own energy. They might need to learn ways to temper this all-encompassing need to help so they can manage their own energy levels. cannot bear to witness any violence or pain in others even on TV. They are often willing to help others even at their own expense because they cannot turn their back on others. Are highly sensitive and empathic and will take on the pain emotionally and sometimes physically of others. Tend to have a strong affinity for Angels and feel a guardian angel is watching over them. If this describes you then you might be an Earth Angel! StarSeed is a soul who is not originally from earth but they also may have incarnated here for multiple lifetimes. They may be from any number of distant galaxies, different dimensions or far off stars. They have agreed to leave their wonderful existence to incarnate here as a human. They have a pre-programed purpose to help heal the planet and raise the vibration. They are highly evolved souls but their true nature is shielded from them. Although they feel they don’t belong and feel a strong sense of loneliness they are not sure always sure why they feel this way. Every Starseed has an activation code that at a predetermined time wakes them up to their true purpose and nature. This can be a pre-programmed series of events that leads them to remember or it can be a drastic and rather sudden wake up call. Once this code or the wake-up call is activated they will remember what their purpose is here and they will find peace with their gifts and abilities. Am I a Starseed? Do you have the following qualities: highly clairvoyant in one or many senses, an interest in other worlds or aliens, a strong feeling of not belonging here, a desire to go home despite being uncertain where that is, highly empathic or sensitive, intuitive abilities in energy work, a resistance to following the rules of society or identification with progressive movements. Often described as having a highly evolved soul. If these qualities describe you then you might be a Starseed! Light worker is a person that is born with a strong sense of purpose to help heal and to assist others with the spiritual awakening process or work in some type of healing field. They may be a highly evolved soul from or not from this planet but they are acutely aware of a strong urge or sense of purpose to help spread light and positive energy and be of service to humanity. They are deeply spiritual people who exude love and light! They are usually drawn to healing professions or activities such as reiki, meditation, yoga and other healing modalities. They tend to be described as highly spiritual, caretakers and healers. Although they don’t specifically remember their higher purpose they are aware they have a strong sense of purpose and responsibility to help in others in their spiritual development or with healing. Am I a Lightworker? People who are Lightworkers often feel a nagging sense of having to do something very important with their life, they are seekers trying to discover their true path. Others may feel as though their purpose has been revealed to them and are actively working on it. They tend to work in a spiritual-based practice such as intuitive coaching, reiki, yoga, meditation, healing services, or any other helping profession. They also may have experienced a wake-up call by seeing repeating signs, seeing repeated numbers and will keep hearing these messages until they pay attention. Regardless of what terms you identify with if you are going through a spiritual awakening process or starting on a spiritual journey things can get quite confusing. Try to open your mind and heart and ask the universe for guidance and direction! If you are working in a spiritual field or starting on a spiritual path try not to get too hung on what you call yourself- you are truly helping raise the positive energy and consciousness of yourself and the planet!